I wish you a Happy New Year, both personally and from The Beryl Institute. The idea of the New Year has been around for millennia and has always symbolized a time of both reflection and foresight. It represents an opportunity to review past events and to plan for new actions. The recognition of January 1 as the start of the new year (for many, but not all cultures) was solidified when Julius Caesar reset the calendar year to start on January 1. It was associated with the mythical King Janus, who represented beginnings and served as the guardian of doors and entrances. I found this metaphor of great relevance as we think about the patient experience and how important beginnings are. The patient experience is not simply represented by the doors and entrances of our healthcare facilities. We must think more broadly to the initial interactions that patients have with our organization. Whether it is on the phone searching for a physician, making that first appointment, or pulling up to be greeted by a parking valet, these are all critical beginnings in the patient experience process. These actions set the tone and frame the perspective of how a patient, their family and support network experience your facility. 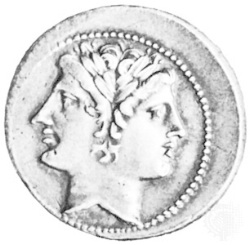 In addition, Janus is traditionally depicted with two distinct faces – one looking towards the future and one into the past. I believe this is symbolic of the work we take on every day in healthcare. We engage in moments of care that have both strong histories and hopeful outlooks. Our patients’ stories are not simply single encounters in time, but rather they are grounded in the experiences that carried these individuals to our doors. And while rooted in the past, these stories are also focused on a future of healing and replenished health. In looking towards 2011, we personally will look back at what we accomplished and plan ahead for what we want to achieve. I would suggest we also need to be aware that our patients are managing this in a much more vital way. As we create our patient experience resolutions for the year to come, one important consideration is to make an effort to understand the past for each of our patients. In doing so, we create a connection and present a level of understanding and compassion that can establish a foundation for a greater overall experience. We must also challenge ourselves to look forward and help our patients exceed expectations for what they hope to achieve through our care and what they aspire to be doing once they leave us. At The Beryl Institute we are purposeful in our definition of the patient experience as “the sum of all interactions, shaped by an organization’s culture, that influence patient perceptions across the continuum of care”. This includes all that comes before and after the clinical encounter. In this same way, as each of us considers our resolutions every year, we do not spend the time just thinking about New Year’s Day itself. The day is simply a doorway that transitions us from one point in time to the next. When we realize that for most patients their stay affords this same experience – a chance to reflect on the past and an opportunity to plan for the future – new possibilities emerge. This happens, not just on January 1st, but each and every day. In healthcare, we have the opportunity to create resolutions with every encounter and more importantly to support the resolutions of our patients every day of the year. It is our job to look both forward and back, to help people cross that threshold of healing, and to ensure that the experience we provide is one that allows for dreams of a bright future ahead. So what will your resolution be as you focus on the patient experience in 2011? How will you support the resolutions of others at every interaction? It could be the most important thing you do in caring for others this year! Here is to a fulfilling and rich year ahead.